Jul. 19, 2018 - Intrasense reviews today the progress of proposed combination with DMS Group. Intrasense announces today that the ‘QUID-NASH’ project, in which it is a partner, is selected for the RHU call for health projects from the “Future Investment Program”. Read more. Intrasense announces its presence at RSNA 2016 where it will unveil its new Myrian® 2.0 version. Read more (French). Intrasense announces its half-year results until June, 30 2016 as approved by the Board of Directors on October 24, 2016. Read more (French). 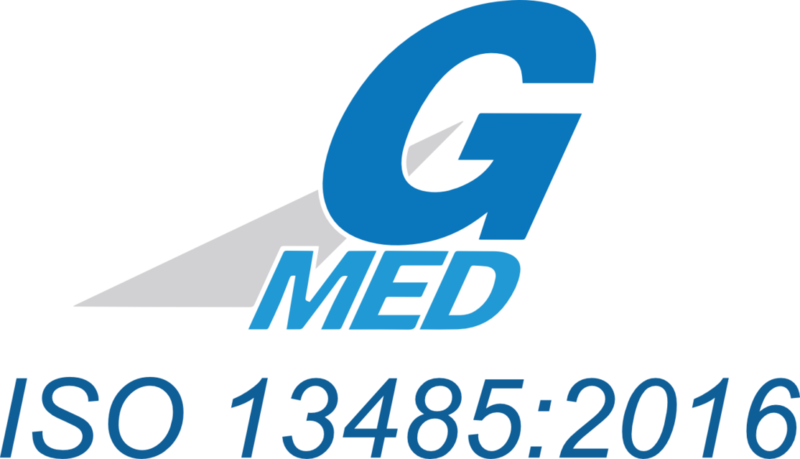 Intrasense is happy to announce its participation to MedStartup Program 2016, organized by Galien Fundation and Business France. Read more (French). October 13, 2016 - Issuance of a second tranche of "OCABSA"
Intrasense annonces the issuance of a second tranche of "OCABSA" by Bracknor Funds Ltd for a total amount of €1,000,000. Read more (French). The nomination of Olivier Marrot and Eric Le Bihan as independent board members has been approved during June 28, 2016 shareholders' meeting. Read more (French). Intrasense announces the deployment and installation of three major projects in the USA, Vietnam and Turkey. Read more (French). Intrasense announces that its Board of Directors has appointed Christophe Lamboeuf as Deputy Managing Director. Read more (French). Intrasense announces its 2015 annual results as approved by the Board of Directors on April 27, 2016. Read more (French). Intrasense reaffirms its eligibility to PEA-PME plan for the next 12 months. Read more (French). Intrasense and its partner CFI have been selected by UGAP within its tender for IT hospital equipment. Read more (French). Intrasense announces the setting up of "OCABSA"-based financing by Bracknor Fund Ltd. Read more (French). The February 17, 2016 extraordinary shareholders meeting has accepted voted all resolutions. Read more (French). Intrasense has decided to set up an "OCABSA" bond financing for €5M max if approved by shareholders. Read more (French). Intrasense is pleased to announce the signature during RSNA 2015 of two contracts in the United States and one in Japan. Read more (French). Intrasense announces its 2016 results. Read more (French). Intrasense announces the signature at RSNA of two contracts in the USA and one in the Middle East. Read more (French). Intrasense is selected to participate to the collaborative private / public HYPMED project within the European H2020 program. Read more (French). Intrasense announces its half-year 2015 results as approved by the Board of Directors on October 20,2015. Read more (French). Intrasense is pleased to announce the signature of two new contracts in the United States. Read more (French). August 25, 2015 - Issuance of the second tranche of "OCABSA"
Intrasense announces the issuance of the second tranche of "OCABSA" to an Atlas Capital Markets-managed fund. Read more (French). Intrasense informs its shareholders that the next shareholders meeting will be held on May 7, 2015 at 10 am in Hoche Société d'Avocats office. Read more (French). Intrasense announces its 2014 yearly results as approved by the Board of Directors on April 20, 2015. Read more (French). Intrasense is pleased to announce that Myrian® platform and oncology modules have been selected by a global PACS leader. Read more (French). Intrasense publishes an activity reports. Read more (French). Intrasense reaffirms its eligibility to "PEA-PME" program for the next 12 months. Read more (French).